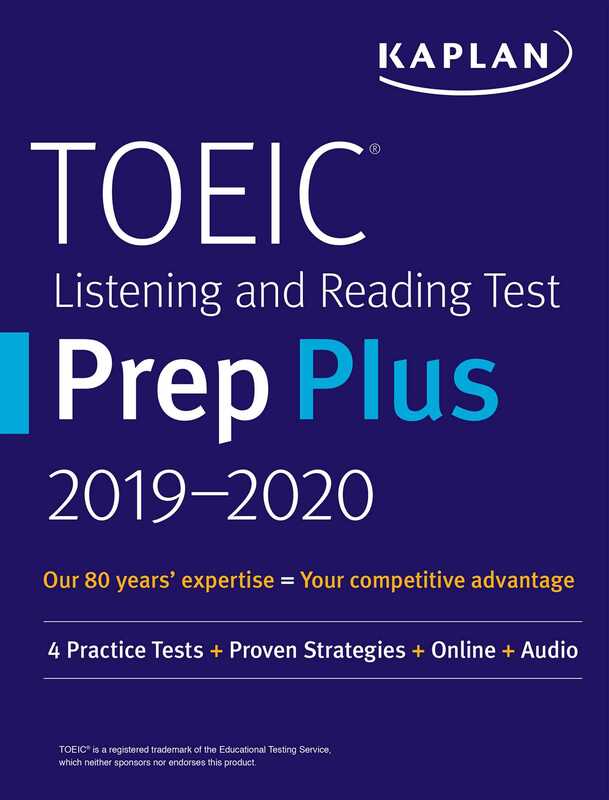 Kaplan's TOEIC Listening and Reading Prep Plus 2019-2020 provides in-depth review, online listening tracks, and test-like practice to build your English-language skills for the TOEIC Listening and Reading exam. This fully revised guide includes test-taking strategies, expert tips, and up-to-date test information so you can face the TOEIC with confidence. Each year, millions of people in 150 countries worldwide take the TOEIC exam in order to demonstrate proficiency in the English language. TOEIC Listening and Reading is used to measure the everyday English skills of people working in an international environment. This exam is leveraged by job-seekers and employers to showcase and assess English language communication skills.